Yvette and the staff were absolutely amazing and sweet! They made me feel very comfortable from start to finish. I’m lookingforward to my next visit. Yvette and the staff were absolutely amazing and sweet! They made me feel very comfortable from start to finish. I’m looking forward to my next visit. I felt pleasant and in confidence, very grateful to her to explain to me the exam that I was come toperform. I felt pleasant and in confidence, very grateful to her to explain to me the exam that I was come to perform. Ms. Yvette McFarlane is a nurse practitioner catering to the needs of the local population of West Palm Beach, FL. 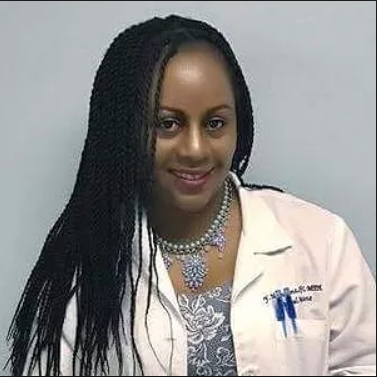 She graduated with a master's degree in nursing from Duke University and currently practices at NYU Langone Medical Associates - West Palm Beach. Together with the other members of her team, Ms. McFarlane strives to deliver quality care to all patients visiting the clinic. She holds herself to the highest standard of care and is dedicated to creating a positive patient experience for every individual. Ms. McFarlane believes in providing comprehensive and holistic medical care, to enhance her patients’ overall health. She has been setting the highest standards of excellence when it comes to her treatment methodology. She is passionate about providing individualized care and helping patients focus on healthy lifestyles. Yvette is great! Very knowledgable with great bed side manner. She did allergy testing on me that was completely painless. She was very thorough and personable. Highly recommend her and this office. Excellent. She was very receptive about my concerns. Very knowledgable and very personable. Loved my visit.